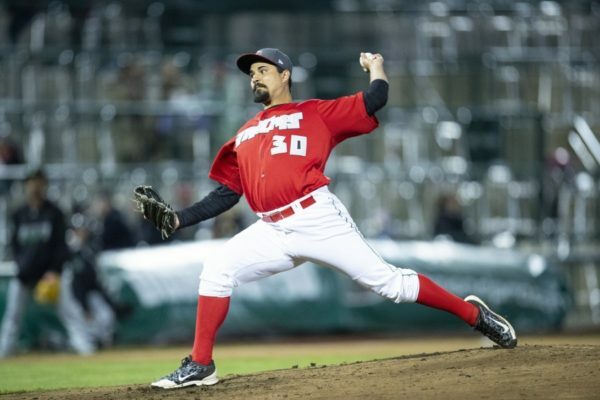 San Diego Padres’ left-handed pitcher Travis Radke was a member of the Lake Elsinore Storm in 2015. 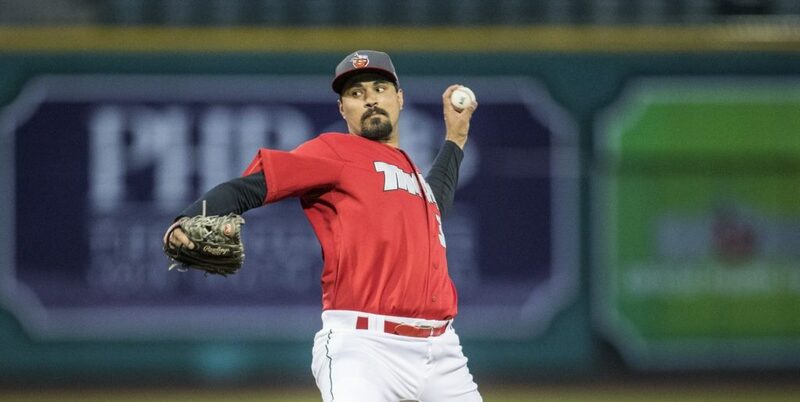 Tommy John surgery and a few hurdles sidelined the pitcher, but he is back in the California League. The game of baseball can be a brutal sport. 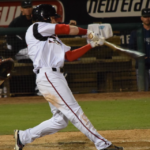 Injuries and the mental aspect of the game can be tough on potential prospects who never attain the lofty goal of making it to the major leagues. Life in the minor leagues is an uphill battle. It is a grind in every aspect. 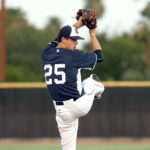 Travis Radke knows this battle well and is prepared to take on the challenges of another minor league season yet again. Radke is conscious of where he has been, and that has assisted in making him a better pitcher. “I had a great year and a half to start my career. I got Tommy John surgery and became a reliever after that. I had to reinvent myself as a pitcher,” Radke explained to EVT. “I started a little lower than I would have liked to when I returned, but I just had to grind at each level,” Radke said. He has undoubtedly been on a quest, and you have to admire his perseverance. The pitcher is not blessed with a 100 mph fastball. “No, I am not. I wish I was.” Radke said with a smile. Despite his limitations with velocity, Radke attacks hitters with no fear. You have to admire a pitcher who continually throws strikes and keeps hitters behind in the count. If you have ever seen the left-hander pitch, you witness the fact he mixes all his pitches very well and will use them in any count. If guys that had upper 90’s fastballs pitched with the tenacity of Radke, they would be hall-of-famers. The mental aspect of the game has taken Radke awhile to get accustomed to. “It has been a trial by fire. To put it lightly. The grind for a pitcher is that you have to keep finding a way to find success even on days when you don’t have your best stuff,” Radke said. He competes out there and has a great mental edge now. It has not always been that way for the pitcher. He has learned to sharpen his mind while toeing the rubber. “For me, it has always been more of a mental grind than a physical one. I have had my fair share of injuries, but staying sharp there (mental aspect) is the difference between having a job each spring and not,” Radke said with a grin. 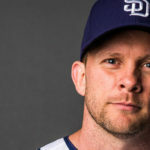 With the ability to pound the zone and a grasp of the mental aspect of the game, the Padres awarded Radke last year with his first real shot at being a closer. “Closing is definitely an interesting role. As a pitcher, you are like a quarterback of the team. Whether you do good or do bad- all of it will fall on you,” Radke said. The pressure is something that Radke is getting used to. He claims to not be comfortable in the role just yet. “I don’t fit the typical closer role as far as velocity and such, but I just had to find a way. 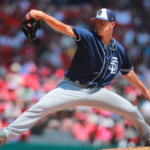 The Padres knew that I was a guy who was going to throw stirkes and attack hitters and that is kind of what you want from a closer. It took a while to get used to it in the beginning. It is a nerve-racking role. I still have not gotten used to it,” Radke admits. He loves the challenge of recording the last out and will surely only grow more comfortable in time. Radke has learned to be an aggressive pitcher. It was not something that came naturally. “In 2015, I learned the idea of missing barrels. Before that I was trying to get strikeouts,” Radke tells EVT. Like any young pitcher, he wanted to blow hitters away, and pitch counts didn’t mean anything. The pitcher has adjusted his mindset and is in a much better place. “By attacking hitters and keeping the pitch count low I give myself an opportunity to help the team the next day,” Radke said. He wants to throw every day. He has that type of confidence when it comes to tossing the rock. 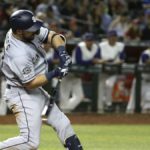 The San Diego Padres have done well to prepare their young players in recent years. Cultivating talent was not the strong suit for this team in the past. That has changed, as many players report organizational growth when it comes to player development. 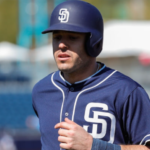 “The Padres do a great job of trying to help us on the mental side of the game,” Radke said. There are some specifics that Radke has worked on when it comes to sharpening his mind. “Focus on the job at hand and forget about issues. Focus on each pitch and not too far in the future,” Radke tells EVT. 2019 is a big year for the pitcher as he wants to progress through the system. “The goal is to make it to the major leagues. To pitch the very best I can. 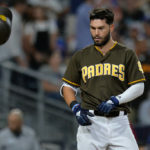 To force the Padres hand into giving me an opportunity elsewhere,” Radke said. He understands the process but is eager to prove his worth. 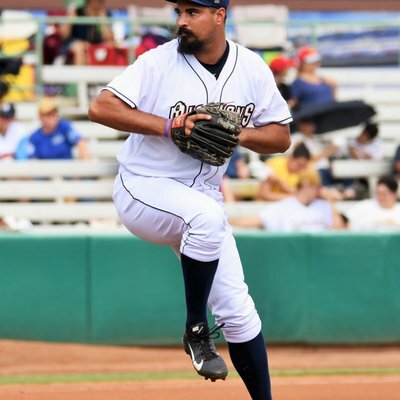 In time, Radke could be a decent option for the San Diego Padres out of the bullpen. Do not count him out. Radke is a true gentleman, a hard worker , and we wish him nothing but sucess ! !